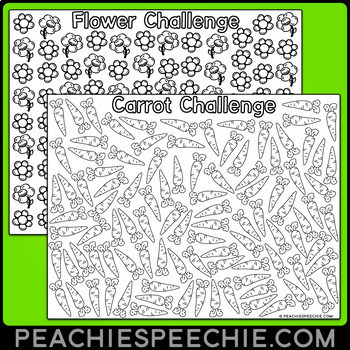 Peachie Speechie has been providing 100 repetition challenges since 2013! Be sure to click the custom category in my shop to see them all! 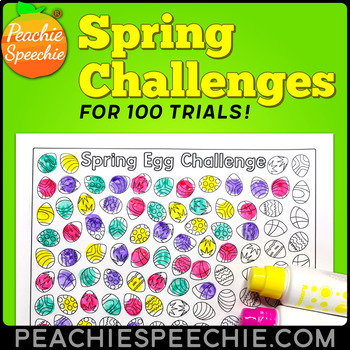 Get 100 trials from your students with these fun, FREE, challenges! I use them for speech therapy and try to get 100 repetitions of a speech sound/word. 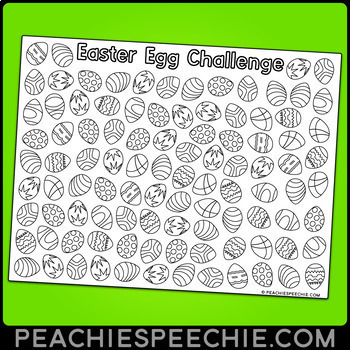 You can easily adapt this activity to focus on math facts, sight words, or pretty much anything! Just print and go! (1) I challenge my students to say their target speech sound 100 TIMES in one session. (2) I give each student a copy of the challenge sheet. (3) I give each student crayons, markers, or tokens. (4) Each time a student says an accurate production of their sound, they get to color an iteml on their challenge sheet. (5) Their goal is to have 100 accurate productions! At the end of the session, hang these festive sheets in your room as decorations! Tag us on Instagram @thePeachieSpeechie so we can re-gram your photo!! 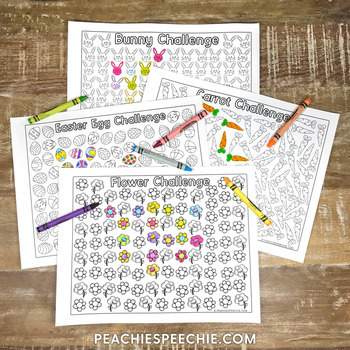 I hope you enjoy this freebie! Please pretty please leave feedback if you like it!